This is a giant planet and we’re lucky to live on it but there are prices and penalties incurred for the daily miracle of existence. One of them is, every once in awhile, the wiring of a tiny sliver of the species gets snarled and they’re pointed towards darkness. 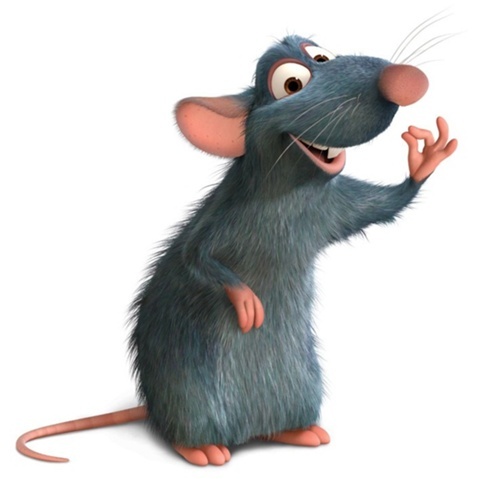 Patton can be a funny guy, and was good in Ratatouille, but I’m afraid he’s wrong about this. He’s not the only one who wants to believe that the good outnumber the evil, though. I think it’s a lie that we all tell ourselves so we can sleep at night. We can trick ourselves into believing it because we live in a culture that values goodness and generosity in a way that is, historically speaking, pretty unusual. Because a free market democracy requires a body politic that is cooperative, decent, and moral, we’ve done a lot to cultivate those attributes. But those characteristics don’t just fall out of the sky. It only takes one generation to forget everything we’ve built up to now. If we dump patriotism and brotherly love and instead teach our children, “Make sure you get yours, and stick it to anybody who tries to take it away,” then we are doomed. We live in a fragile cocoon in a very harsh world. For every person who rushed to the aid of strangers in Boston, there were many more around the world who high-fived each other at the news that an American boy had had his legs blown off. There are still more who will high-five if we find out that his legs were blown off by the right people. In Boston (and again in West, TX; holy cow), people leapt to the aid of their fellow men in noble and selfless ways. But you don’t have to look very far to find counter-examples. Look a little bit in the past and see the 20th century, which was pretty much the all-time high water mark for man’s inhumanity to man. And I don’t see any reason to believe that the 21st will be much different. Look down the east coast, a short train ride from Boston, to a Philadelphia abortion clinic where goodness was nowhere to be found. The good are a small and constantly-endangered minority, surrounded on all sides by encroaching darkness. I don’t write that to depress anybody (too late! ), but to emphasize the fact that, for good to win out, the good must be aggressively good. It’s not enough to rely on strength in numbers, because we ain’t got it. That’s no excuse, though. If we’re surrounded, then all we have to do is attack in all directions at once. And do it with fire, and hope, and faith in the God who is the source of goodness. Besides, do you have anything better to do? Keep hope alive.